If you thought you’d never see the day when your weight was back in the single or double digits, weigh yourself the British way: in stone. I still can’t help giggling when I hear people say they are whatever stone and however many pounds. 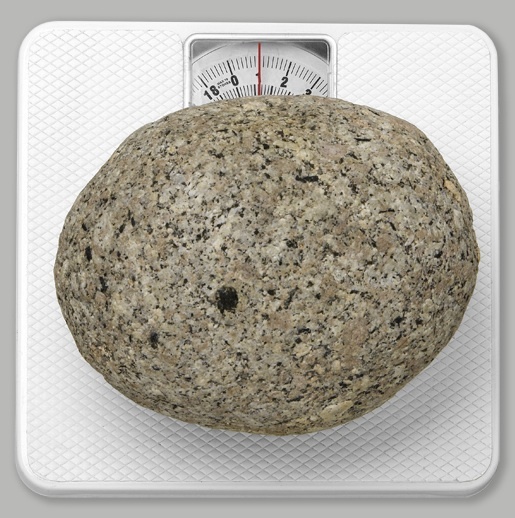 It just seems like the right way to weigh a sack of potatoes, some oxen or well, stones, and the wrong way to weigh a person (and indeed stone was originally used for weighing agricultural products, so says Wikipedia). Still, it is the standard in the UK and during the five-plus years that I lived there, I had to get used to doing the the maths (translation: math). Each stone is 14 pounds so you just need to divide your weight by 14 and voila, that’s your weight in stone. Better yet, use this handy-dandy converter. Posted on 29, August 2011, in Culture and tagged British, measurement, scale, stone, weigh, weight. Bookmark the permalink. 1 Comment. I find converting to lbs, difficult….